Your car is subjected to a ton of wear and tear. 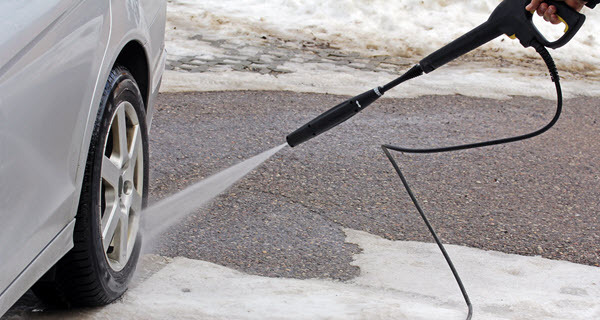 Constant years of depending on it to get you where you need to be along with exposure to harsh and changing weather conditions will leave your car looking worse for wear. While complete renovations may seem costly and time consuming, there are cheap ways to go about renovating your car piece by piece, saving you money while making sure your car looks and drives as good as new. Spring for the Expensive Brake Pads– One easy way to upgrade how your vehicle drives is by choosing more expensive brake pads. More than just buying the most expensive brake pads at the automotive store, find brake pads that are specifically designed to help you reduce stopping distances and eliminate the fade in braking situations. New Tires Will Improve Grip and Handling– Driving around on worn out tires is not only murderous on your car’s fuel efficiency but it is flat out unsafe. Worn out tires make handling your vehicle difficult as the reduced grip on the road will make it harder to stay in control of your car. Buying four new tires may still be a pricey purchase but even just buying two tires at a time will improve your gas mileage, handling and safety out on wet or slicker roads. Maintain Your Paint– Regular waxing and washing your vehicle will help to preserve and maintain the paint. Over time though the paint will begin to fade and crack. You can extend the life of your paint by immediately fixing small scratches or other blemishes and keeping your vehicle clean with monthly or bimonthly car washes. 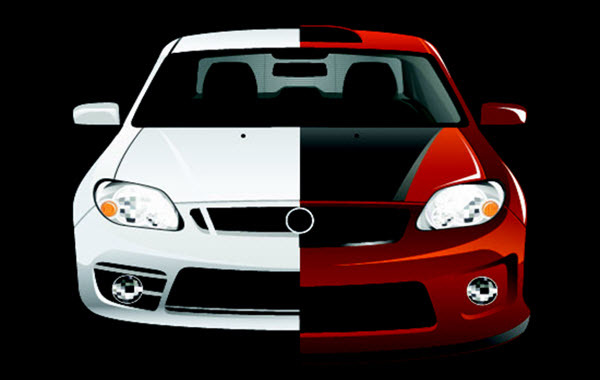 In the instance of your paint being cracked or damaged, a fresh coat of paint or two will go a long way to making your car look as good as new. Choose Your Parking Wisely– Natural factors like sunshine, tree sap and passing birds can all have damaging effects on the paint on your vehicle. With that in mind take advantage of opportunities to park in enclosed areas or under shady trees to help avoid dirtying or damaging your paint unnecessarily. By avoiding these factors you will be able to extend the lifespan of your paint and keep your car looking like it did before. Repair Your Seats– If your car’s seats are torn and worn out looking, it can cost hundreds of dollars to get it repaired professionally but doing it yourself will help you save tons of money on labor. Buy a curved upholstery needle and some high strength thread and you can either patch the tears or repair them completely. The right type of fabric cleaner will also give your seats a like-new shine. Clean the Carpets Quick and Easy– Shoes can easily track in dirty footprints and other debris from outside and worn out carpets in your car will make the entire interior look old and outdated and needing extensive TLC. Another quick fix to do on your own, liquid carpet cleaner will loosen up the dirt for you to pick it up with a shop vac. Repeat that process as needed for an extremely filthy carpet and then leave the car in a warm place to dry. A steam vacuum can also help to completely clean all of the dirt that comes up as you clean if you choose to rent one. Also be sure to wipe the pedals as well to prevent dirt from collecting onto the carpet right after you take the time to clean it. Professional renovators can cost hundreds of dollars to take your old car and help make it look as good as new but by taking the right steps and being mindful of your budget you can repair many of the issues and renovate your vehicle on your own for a fraction of the cost. There may be expenses that are unavoidable like fresh coats of paint or brand new tires but the improvements to both the appearance and performance of your vehicle, along with the added safety, will make any of the costs well worth it. No renovation needs to be done completely all at once so take your time to make sure you end up with the vehicle you want.